We custom frame what ever our clients can imagine – sports memorabilia, family documents, musical instruments, parachutes, perfume bottles and military medals, to name just a few. We assist in making perfect selections that enhance the art and coordinate with any type of décor. 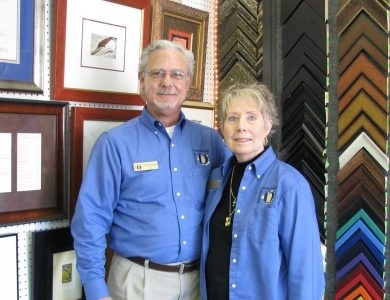 At DeGeorge Custom Frames, only conservation materials that will neither fade nor harm the art are used. Custom framed mirrors are a specialty.